ink and acrylic on paper, mounted on stretcher, signed and numbered, edition of 10 unique paintings, in box with artists' book H.A.D. Johannes Tassilo Walter’s special edition H.A.D. consists of a limited series of 10 unique paintings. Each one is signed and numbered by the artist. 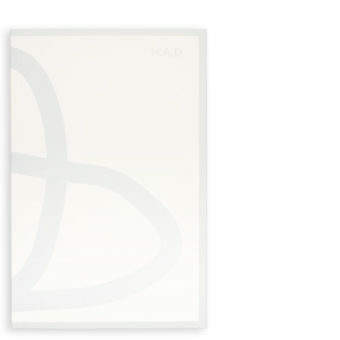 The special edition comes in a box with one copy of the signed artists’ book H.A.D.